So today I present my first KO in the Title Fight Reading Challenge 2016 (which I happen to be hosting), with a historical middle grade fiction novel about eugenics and what it means to be different. I received a copy of Of Better Blood by Susan Moger from the publisher via Netgalley and I will be submitting it in category five of the Title Fight Challenge: a book with an injury (or something implying an injury) in the title. I think “blood” fits quite nicely there, don’t you? Teenage polio survivor Rowan Collier is caught in the crossfire of a secret war against “the unfit.” It’s 1922, and eugenics–the movement dedicated to racial purity and good breeding–has taken hold in America. State laws allow institutions to sterilize minorities, the “feeble-minded,” and the poor, while local eugenics councils set up exhibits at county fairs with “fitter family” contests and propaganda. After years of being confined to hospitals, Rowan is recruited at sixteen to play a born cripple in a county fair eugenics exhibit. But gutsy, outspoken Dorchy befriends Rowan and helps her realize her own inner strength and bravery. The two escape the fair and end up at a summer camp on a desolate island run by the New England Eugenics Council. There they discover something is happening to the children. Rowan must find a way to stop the horrors on the island if she can escape them herself. What an interesting mash-up of genres and issues this story is! What begins as the story of a young girl overcoming disability, family bigotry and exploitation morphs into a ripping murder-mystery, fight-for-survival-on-an-isolated-island, survivor type tale. I thoroughly enjoyed this tale (although the end third of the book was by far the most exciting), because it seemed to cover all the bits and pieces that I like to see in middle grade fiction. Rowan starts off as a privileged white girl from a rich family that has a vested interest in the eugenics movement. When Rowan develops polio and loses the use of one of her legs, not only does she have to overcome pain and isolation, but also silence from her father who seems to have abandoned her in her “weakness”. This early part of the story flicks between Rowan’s present-day travails – in which she is forced to play “Ruthie”, the crippled simpleton daughter, in a travelling carnival show that touts the ideals of the benefits of eugenics – and her life before. We are privy to the abrupt change in affections of Rowan’s father toward her, and the parade of medical professionals – some sympathetic to her plight, some not – to whom Rowan is subjected during her recovery. 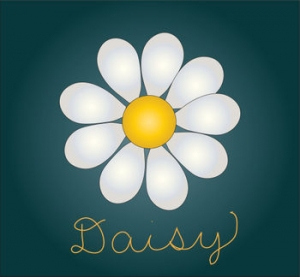 During her time in the Fitter Families show, Rowan meets Dorchy, a rowdy, independent girl from a carnival family, and this friendship drives the rest of the novel. The relationship building here is done sensitively and will really appeal to female readers of the target age group. Though the girls come from different socioeconomic backgrounds (as will become apparent later in the book), they are possessed of a similar undaunted spirit and the desire to make their own ways in the world. I certainly wasn’t expecting the action-packed turn that the last third of the book would take (despite the fact that it’s flagged in the blurb), but it drew me in completely and I desperately wanted to know how it was all going to end up. Two young girls alone on an island with a bunch of orphan kids, some reclusive caretakers, a very rich woman and her daughter and a doctor at the “cutting edge” of eugenics technology? What could possibly go wrong?! This section of the story really brings home the point that the author is trying to make about this period in history and the dangerous attitudes that can be fostered when we try to place labels on those we think are unfit or unhelpful to society. Lovers of historical fiction will enjoy the period details here, while general readers of middle grade will appreciate the pacey plot and the continuous changes in the girls’ situations. You can check out my progress for that challenge here, if you’re interested. What is the first book (or series) you fell in love with? I honestly can’t remember. Although over the years I’ve been a big fan of Enid Blyton’s works, the Chronicles of Narnia and Choose Your Own Adventure books. Has your favourite genre changed over the years (please share!)? No. Although I read a lot more nonfiction and contemporary these days than I ever did in the past. Okay, be honest, how many book boyfriends/girlfriends do you have? This is a strange human concept that I find utterly bewildering. Spot of lift the flap, children’s book fame. What are your drinks of choice (alcoholic, cold, and hot please)? I don’t really drink alcohol. Water. Tea (milky, no sugar). I’m dying to know – what is your favourite TV show? The Chase (UK or Australia, doesn’t really bother me), Bargain Hunt, Escape to the Country, Would I Lie To You? If my life depended on reading a really good book, what book would you recommend? I would recommend finding a competent health professional. Which three popular books do you not understand what all of the hype is about? What is your favourite game to play (can be card, board, electronic, etc.)? Snap, Twister, The Elder Scrolls. Preferably simultaneously. What is the last book to have made you cry? I lack tear ducts. Next question. What is the last book to have made you laugh out loud, despite being in a public place? Lockwood and Co: The Whispering Skull by Jonathan Stroud. I hope that was enlightening! 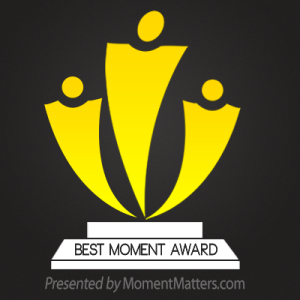 Now, number four….nominating eleven people seems a bit excessive, so I will just throw out a general invitation to anyone who wants to do it. Yarning with Mad Martha: Lockwood & Co (The Whispering Skull) …plus Make Your Own Desktop Skull-in-a-Jar! I will, however, make no guarantees as to the likelihood or otherwise of your little skull whispering to you. Although Bruce looks hopeful. In the six months since Anthony, Lucy, and George survived a night in the most haunted house in England, Lockwood & Co. hasn’t made much progress. Quill Kipps and his team of Fittes agents keep swooping in on Lockwood’s investigations. Finally, in a fit of anger, Anthony challenges his rival to a contest: the next time the two agencies compete on a job, the losing side will have to admit defeat in the Times newspaper. Things look up when a new client, Mr. Saunders, hires Lockwood & Co. to be present at the excavation of Edmund Bickerstaff, a Victorian doctor who reportedly tried to communicate with the dead. Saunders needs the coffin sealed with silver to prevent any supernatural trouble. All goes well-until George’s curiosity attracts a horrible phantom. Back home at Portland Row, Lockwood accuses George of making too many careless mistakes. Lucy is distracted by urgent whispers coming from the skull in the ghost jar. Then the team is summoned to DEPRAC headquarters. Kipps is there too, much to Lockwood’s annoyance. Bickerstaff’s coffin was raided and a strange glass object buried with the corpse has vanished. Inspector Barnes believes the relic to be highly dangerous, and he wants it found. It has been far too long between paranormal drinks for we shelf denizens and this series. We loved the first book, The Screaming Staircase , and have kept the other two books in the series in our back pockets, so to speak, for those moments when we need a sure-fire ripper read. 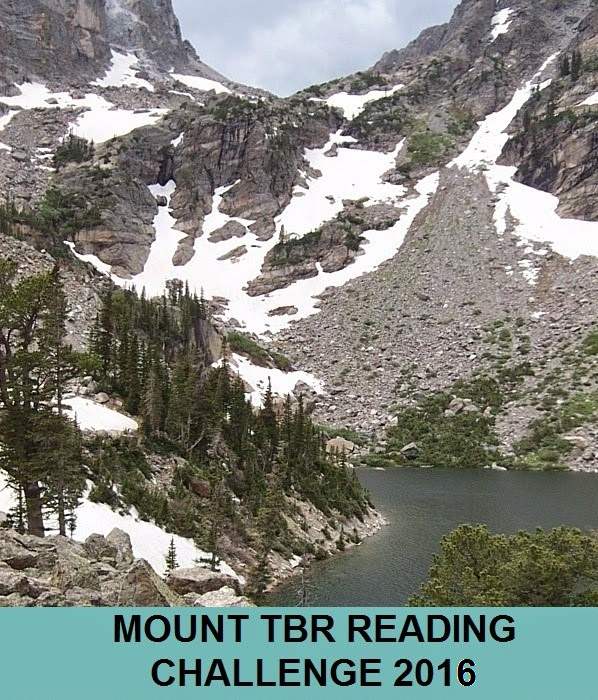 Once the Mount TBR Challenge came along though, we decided to take the plunge and get into the second book to ensure we don’t get left too far behind as more books are released. This one picks up pretty well immediately after the first leaves off, with Lucy, George and Lockwood drawn into an investigation featuring a dangerous relic made by members of Victorian high society who had a penchant for trying to communicate with the dead. The banter between Lucy and George makes a welcome return and very early on it’s obvious that relationships between our three heroes will become strained as the stakes of the investigation – and the body count – gets higher. There is the added problem of the ever-present and ever-irritating Fittes agents, led by pompous Quill Kipps, who are competing with Lockwood & Co to solve the mystery and win the acclaim (and payment). We were tantalised with the whisperings of the titular skull in the first book and this second instalment gives the trio some new insights into who the skull might have been. Lucy knows however, that there is something not-quite-right about the skull’s sudden turn toward verbosity (apart from the obvious lack of vocal chords on a skull), yet struggles to get Lockwood to see the light. We are left hanging again at the end of this instalment, with some questions answered about the skull, but some intriguing threads left loose. I didn’t find this book quite as terrifying as the first in the series, but there are definitely some hairy scenes where it’s touch and go for the main characters. Stroud seems to have a knack for stringing out the action, allowing the pace to slow before ramping things up in alarming fashion. There were also a few niggling bits that Bruce and I found a bit off about the plot – one or two plot points that seem pretty obvious early on (and turn out as expected) but are missed, improbably, by the main characters. That aside, this is certainly a worthy addition to the series and we are all now looking forward to The Hollow Boy, when we get around to it. Now on to the craft! I am certain that all fans of this series (and some who aren’t) will be itching to get their paws on a little skeletal companion so here are some instructions for how to whip up your own Whispering Skull*! I decided not to reinvent the wheel and used this pattern by NerdyCrochetGal to create a mini skull. It turned out to be the perfect size and something that could be whipped up super-quick. I used grey yarn to crochet two little circles for the eyes, a triangle for the nose and just did some satin stitches for the mouth. Unfortunately I made the nose hole too big, and the eyes too small, so my skull has a slightly odd expression – but there you are. You can learn from my mistake. Here’s where you’ll need the cellophane and tape. The skull in the book is described as having a green plasma that whirls around it now and again, so I used green cellophane to tint my jar the correct colour. Wrap some cellophane around the outside of your jar to measure how much you will need. Cut this section of cellophane out and tape it to the inside of your jar. Place your skull inside the jar. If your jar has a lid already, you can decide whether you want to do this part. My jar was lidless, so I crocheted a circle wide enough to cover the opening (in double crochet stitches) and then repeated the number of stitches in the final round 4 times (using single crochet stitches) to create an overhang. Then I stretched my faux lid over the top of the jar. Finished! Even if your jar has a lid, you could crochet a little cosy over the top using the same method. 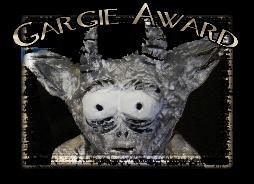 Now your little bony friend is ready to adorn your desk, shelf or other home- or office-based niche. Enjoy! If you haven’t discovered the Lockwood & Co series yet, we shelf denizens highly recommend taking a look at it. 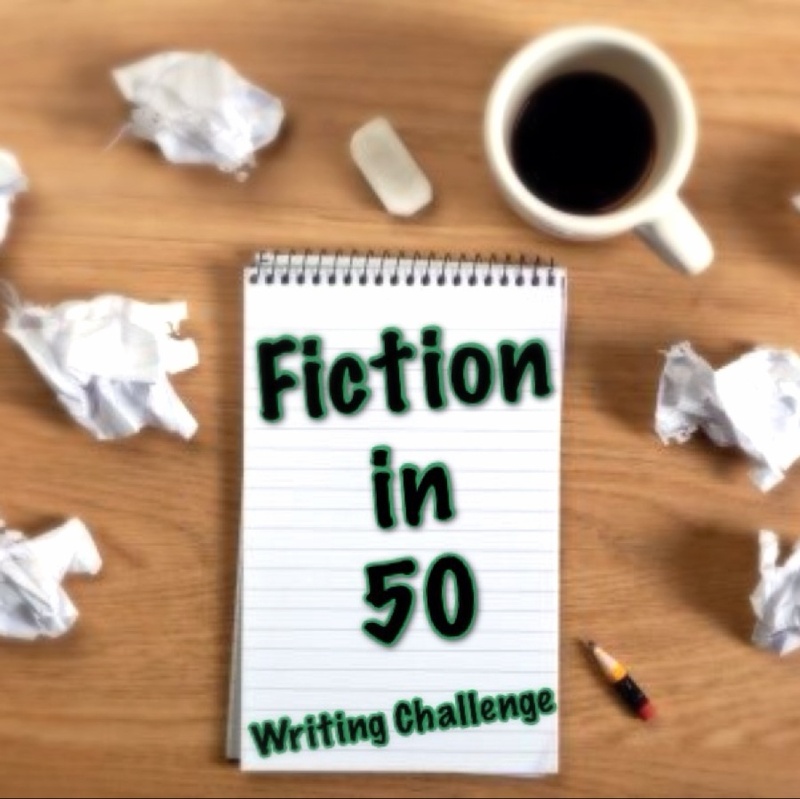 Welcome to the first Fiction in 50 Challenge prompt for 2016. If you’d like to participate, simply create a piece of poetry or prose in fewer than 51 words and post the link in the comments. For more detailed information about the challenge, just click on the image at the top of this post. Grandfather always said that a tackle box was as good as a bank for storing one’s life savings. It took me a while to manhandle that one into the required word count, but I got there in the end. I hope not all the prompts this year will require such brute force! To get the heads-up on prompts for later in the year, just click here. Australia Day Giveaway Hop 2016! It’s nearly Australia Day (or Invasion Day or Survival Day, depending on your heredity and perspective – the Shelf offers respect and acknowledgement to the successes and struggles of the Indigenous mobs of this land) so that must mean it’s time to give away books! Thanks to Book’d Out for hosting this happy hop which runs from the 24th to the 27th of January. 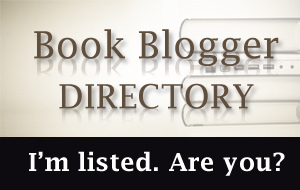 Remember, this is a hop, so don’t forget to visit the other participating blogs here! A Japanese Double-Dip Review…and an Fi50 Reminder! 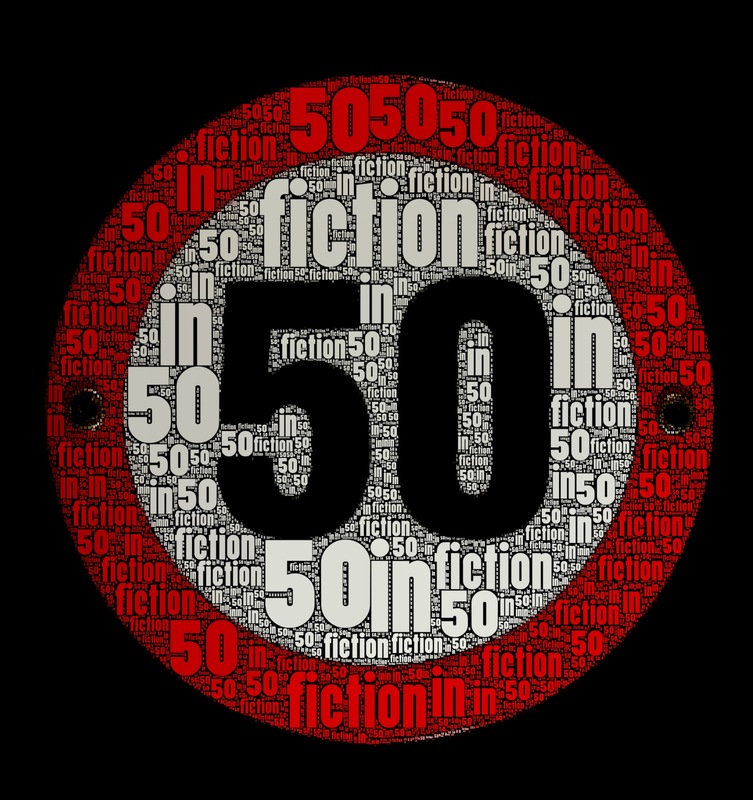 If you’d like to join in, simply create a piece of poetry or prose in fewer than 51 words and then post the link to your work in the comments of the Fiction in 50 post on Monday. For more detailed information on the challenge and future prompts, click here. On the first floor of the big house of the Moriyama family, is a small library. There, on the shelves next to the old books, live the Little People, a tiny family who were once brought from England to Japan by a beloved nanny. Since then, each generation of Moriyama-family children has inherited the responsibility of filling the blue glass with milk to feed the Little People and it’s now Yuri’s turn. …a bewitching and moving account of one family’s – and in particular, one young girl’s – attempt to care for others in a desperate situation. I really loved discovering this story for the first time and I think other adult readers will enjoy it too, never mind the younger ones! The text reads like a classic children’s story and, being historical fiction, the tale doesn’t have the action-packed pace that one might have come to expect from contemporary middle grade reads, but the story is a deeply engaging take on the theme of the Borrowers, with much to say to a new generation of children. Yuri is a wonderfully relatable character and readers will be hoping for the best along with her as times get tougher, as well as cheering for her and the Little People as they develop some ingenious methods to overcome hardship. …you’re looking for fast-paced action and obvious magical themes. This is a far more subtle offering, combining the hardship of war with the growth and changes of two families. The Secret of the Blue Glass is an absolute winner, in my opinion, either as a read-alone for independent youngsters who aren’t afraid to take on some historical content, or as a pre-bedtime read-aloud serial for parents and their mini-fleshlings. It was wonderfully refreshing to read a story that examined the goings-on of the second World War from a Japanese perspective, touching on patriotism, dissent and political propaganda in wartime in a way that is accessible to young readers. This is definitely worth getting your hands on, if you haven’t come across it before. Yukiko tragically lost her mother ten years ago. After visiting her sister in London, she goes on the run, and heads for Haworth, West Yorkshire, the last place her mother visited before her death. Against a cold, winter, Yorkshire landscape, Yuki has to tackle the mystery of her mother’s death, her burgeoning friendship with a local girl, the allure of the Brontës and her own sister’s wrath. Both a pilgrimage and an investigation into family secrets, Yuki’s journey is the one she always knew she’d have to make, and one of the most charming and haunting in recent fiction. 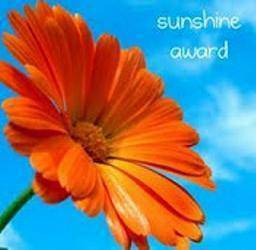 …a chick-lit, road trip, finding one’s self novel with a difference. “Charming and haunting” certainly sums up the atmosphere of this book, written in a strangely compelling present tense perspective. Yuki is a likeable, if somewhat neurotic, heroine on a quest to find some peace with her mother’s untimely death in England, ten year’s previously and seems to collect experience that are by turns touching and awkward. Readers of contemporary who are looking for a main character who is well-developed, but certainly not your average, should take to Yuki like a duck to water. …you’re looking for a no-brainer holiday read. I felt like this one had me working quite hard – whether from the unusual use of present tense, the oddity of Yuki herself of the injections of bizarre dry humour, or a combination of the above – and I suspect that this will take an active, on-form reader to appreciate it. With such a handy “Y”-based title, I just have to submit Yuki Chan in Bronte Country for the Alphabet Soup Reading Challenge. 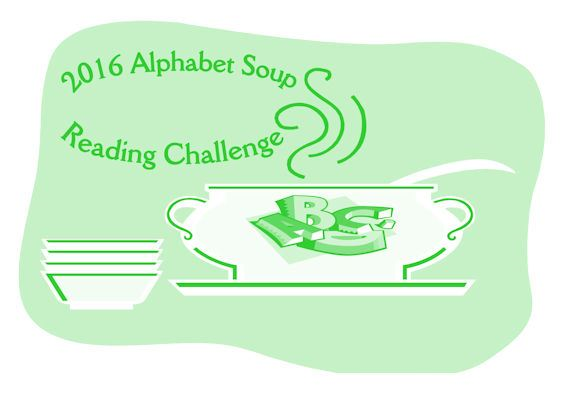 You can check out my progress in this challenge (and maybe suggest some books for the trickier letters!) here. Welcome to a brand new feature that I just made up this minute – the Great Expectations review! Sometimes you approach a book with very specific expectations about what a book is going to be. Sometimes these expectations are met, and sometimes not. Regardless, the expectations often shape the reading experience. So from now on, if there’s a book that inspires certain expectations in me, I will bust out a “Great Expectations” review, to highlight how the actual reading experience differed from what I thought it was going to be. Personality tests have become increasingly popular in the digital age. Examine a wide variety of online personality assessments, and learn how to distinguish useful applications from biased typecasting. An in-depth foray into the often hilarious, always conversation-worthy topic of personality testing, possibly including fun, interactive examples of personality tests for readers to try out on their friends. Or themselves. An 80-ish page brief overview of all the major historical and modern means of personality testing, with a few snippets of some of the tests here and there. I’ve read a number of textbooks and articles throughout my years of tertiary study focusing on the nature of personality, and methods of personality profiling. One memorable non-study-related read on the topic I can recommend is Snoop: What Your Stuff Says About You by Sam Gosling. I was really hoping that Just My Type would be a similarly humorous and entertaining read. While the information provided in the book is accurate, informative and pitched perfectly at those who need an overview or starting point for further research in the area of personality profiling, I was somewhat disappointed that it wasn’t longer and didn’t provide larger excerpts from the various personality testing devices that were covered. I was hoping for a book that would give me the tools to publicly wax lyrical on the undesirable personality traits of those sitting opposite me at a dinner party, based on sound pseudo-scientific historical practices, or, if it came to it, up-to-the-minute psychological theories. Despite my disappointment at the fact that the book is clearly lacking in features to assist the reader to embarrass their friends and bring low their enemies, if you are looking for an accessible, concise, historical overview of the psychological theories about what the personality is, how it develops, how it can be defined using interesting tests and how these tests can be used and misused to label individuals and subdue troublemakers, then I would heartily recommend Just My Type to you.